Elevators are expected to fulfill the many different needs of passengers, which also differ depending on the type of building they are in. The absence of flexible software algorithms cause some elevators to be allocated to private usage in busy places like hospitals, hotels, and malls. Often this allocation, taking into consideration the ratio of private to public passengers, is unbalanced; in which case, heavily-used elevators, on top of risking break-downs and becoming out of service, operate unsatisfactorily. In this study, a control algorithm has been developed to authorize both private and public users, instead of distributing elevators between private and public passengers. In this way, service times for all users were optimized. The algorithm was tested with 100 scenarios on a prototype, while a total of 55000 scenarios have been simulated with Excel program. Differences in duration of both waiting and travel times have been compared yielding results which show significant advantages. A. Ürkmez, O. Hacıislamoğlu, and M. Aydın, “Yolcu talebine göre asansör algoritmasının değiştirilmesi. ”H.-Y. Tang, B. Ding, W.-G. Qi, and Y.-M. Zhang, “Optimization of elevator group control scheduling with multi-strategy switch,” in Machine Learning and Cybernetics, 2008 International Conference on, vol. 4. IEEE, 2008, pp. 2067–2072. J. Wang, Y. Shen, S. Wang, Q. Zhao, K. Nakamura, H. Yamada, and T. Tanaka, “Energy-saving algorithm for elevator group control system with cameras,” in Intelligent Control and Automation (WCICA), 2014 11th World Congress on. IEEE, 2014, pp. 2654–2658. N. Ding, T. Chen, P. B. Luh, and H. Zhang, “Optimization of elevator evacuation considering potential over-crowding,” in Intelligent Control and Automation (WCICA), 2014 11th World Congress on. IEEE, 2014, pp. 2664–2668. X. Liu and J. Ping, “A strategy of elevator group control based on passengers classifying,” in Computational Intelligence and Software Engineering, 2009. CiSE 2009. International Conference on. IEEE, 2009, pp. 1–4. L. Cheded and M. Al-Mulla, “Control of a four-level elevator system using a programmable logic controller,” International journal of electrical engineering education, vol. 39, no. 2, pp. 110–117, 2002. Y. Huang, W. Peng, and C. Liu, “Design of controlling system of higher layer elevator,” Electronics and Signal Processing, pp. 185–189, 2011. S. Sehgal and V. Acharya, “Effect of plc and scada in boosting the working of elevator system,” in Electrical, Electronics and Computer Science (SCEECS), 2014 IEEE Students’ Conference on. IEEE, 2014, pp. 1–6. P. Wang, “A control system design for hand elevator based on plc,” in Computational Intelligence and Design (ISCID), 2011 Fourth International Symposium on, vol. 1. IEEE, 2011, pp. 71–74. S. Htay and S. S. Y. Mon, “Implementation of plc based elevator control system,” International Journal of Electronics and Computer Science Engineering, vol. 3, no. 2, pp. 91–100, 2014. C.-P. Chuang, X. Lan, and J. C. Chen, “A systematic procedure for designing state combination circuits in plcs,” Journal of Industrial Technology, vol. 15, no. 3, pp. 2–5, 1999. T. Tsukamoto and K. Takahashi, “Modeling of elevator control logic based on mark flow graph and its implementation on programmable logic controller,” in Consumer Electronics (GCCE), 2014 IEEE 3rd Global Conference on. IEEE, 2014, pp. 599–600. A. Vidanapathirana, S. Dewasurendra, and S. Abeyratne, “Statechart based modeling and controller implementation of complex reactive systems,” in Industrial and Information Systems (ICIIS), 2011 6th IEEE International Conference on. 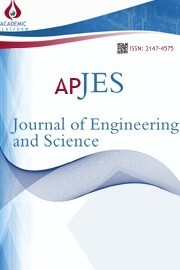 IEEE, 2011, pp. 493–498. A. A. E. Ali and Z. J. Min, “Design of five floors elevator with scada system based on s7200 plc. ”S. Zheng and F. Liu, “The design of elevator control system based on plc and configuration,” in Advances in Computer Science, Intelligent System and Environment. Springer, 2011, pp. 743–748. M. Yağcı and M. E. Güven, “Anahtarlanalı relüktans motorların hız kontrolündeki titreşimlerin azaltılması,” Selçuk-Teknik Dergisi, vol. 8, no. 3, pp. 161–175, 2009.